Every student wants to become something but how many of them become what they wanted to become? Later on some of the students will not like themselves just before the examination or just before the examination results to be declared and after passing out of their college due to non-selection for a job. Even some of the students are committing suicide due to their internal communication, “I hate myself” or “I feel like committing suicide”. Every student has a dream and dreams turn into fantasy if we don’t get the proper guidance in appropriate time to take the appropriate action. Every student has the capability to excel. 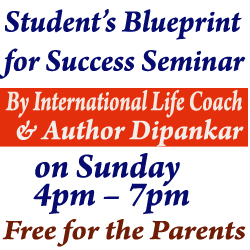 These seminars will help you to create your blueprint, shape up your life, decide your destiny and design your success. It does not matter where you are right now but know the destination where to reach will make successful. Let's imagine your destination is Cyber Tower. You will reach your destination Cyber Tower if you start travelling towards Cyber Tower. 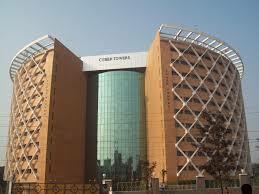 It does not matter where you are right now and from which place you are coming to Cyber Tower. You will reach your destiantion. Similarly your reach your life goal, once you are definite about your destianation. This seminar is to get clarity about your GOAL. 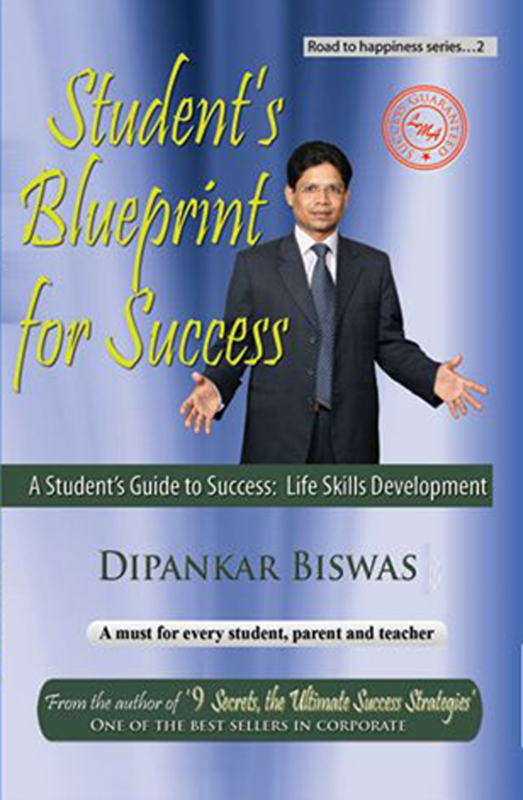 The seminar is taken by International Life Coach and Author Dipankar. So far he has trained and coached MDs, Doctors, Scientists, Professors, Trainers, Corporate Advisors, Managers and employees of most of the MNC including Microsoft, BARTRONICS, ESSEL Software & Services, Deloitte, GE, HSBC, TATA Teleservices, Dr.Reddy’s Lab, CARE Hospital, Global Hospital, Yoshoda Hospital, C-DAC, L&T Ltd – Heavy Engg Division, Green Park Hotel, Synergy Casting Ltd, SIEMENS, IVRCL, EQIC Dies & Engineers, STPI(Software Technology Park of India), Megasoft(XIUS), Gulf Oil, FACOR Alloys Ltd, MODY FORD, VOITH TURBO, NEOSPARK, Regional Labour Commissioner, Hyderabad Industries Ltd, PBEL Property, Bion Therapeutic, ARC Ltd, LANCO Power, Arya Irion and Steel, Bharat Dynamics Ltd(BDL) and High Court of Andhra Pradesh with more than expected result. He did his schooling from Sainik School and graduated from IHM Mumbai, the best Hotel Management Institute in India. He served Taj Group and the Ambassador Group in India before leaving to Australia for further studies. In Australia he finished Bachelor and MBA in Hotel Management from ‘The Hotel School’, which is a joint venture of Southern Cross University & Hotel Inter-Continental, Sydney. He has also successfully completed the programme “Become a Life Coach” in Australia.